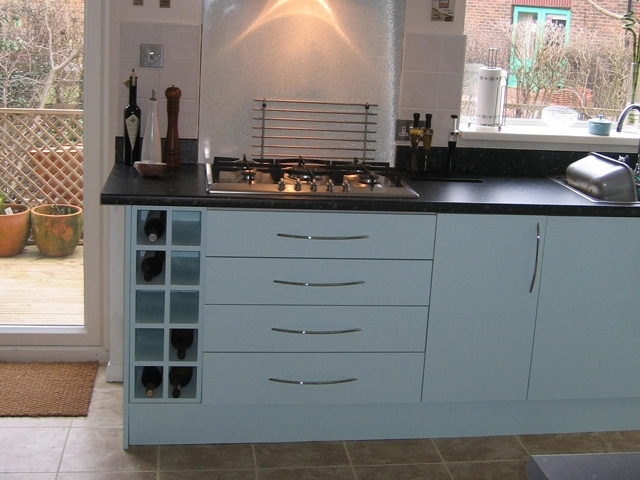 This kitchen fitted in East Sussex, completed with soft close drawer runners, with fitted hob and oven and of course a wine rack. This kitchen also includes room for dishwasher and washing machine. Above the radiator cover is a glass cabinet with satin glass and down lights, adding a professional finishing touch for your glasses display. The designs were completed with the customer. 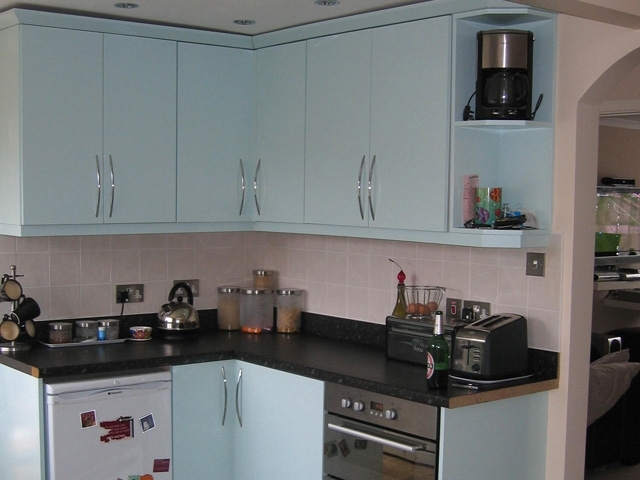 The colour is very light blue which was spray painted and the bow shine chrome handles brings it all together nicely, the handles again the customer picked from a recommended website I use. Ian made a big cabinet for us and we are absolutely thrilled with it. (It took me a week before I could bear to put anything inside as I just kept admiring it!) We were very impressed with the help and advice we received, and his attention to detail. Ian was easy to work with, he was on time, on budget and most importantly of all, produced work of the highest standard. 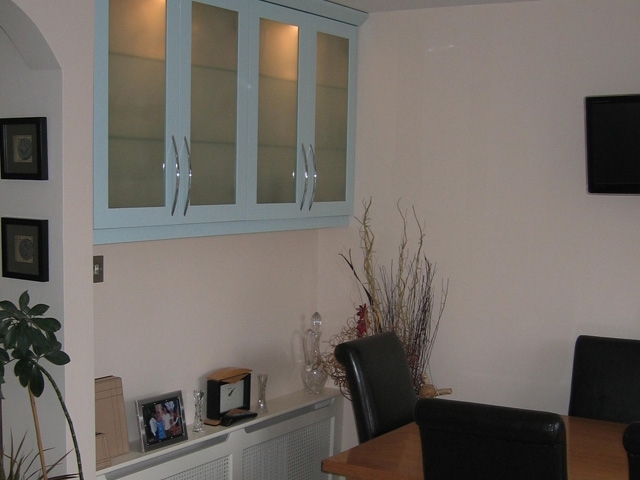 We have no hesitation in recommending him, and would be delighted to show our cabinet to any potential customers.